The new Cutler and Gross eyewear Autumn Winter 2011-2012 collection entitled “Frost Fair” is now available. It’s a getting a bit colder outside as winter fast approaches, making it a perfect time to warm yourself up to the finer things in life — and what better way than with a new pair of Cutler and Gross. Centering around winter traditions, such as the cheery comfort of Christmas and fun of Halloween, the Cutler and Gross “Frost Fair” campaign evokes a nostalgia perfectly befitting their timeless style. New classic designs in both sun and optical are introduced which maintain the “sense of tradition and yesteryear” but are streamlined to feel very contemporary. From a wayfarer to a sleek cat-eye, all are available in great colorways this season: from black, to petrol blue, to the rich warming tone of the new “cola”. As always, each frame is handmade to the highest technical standards, using only the best materials and with a truly unsurpassed craftsmanship. 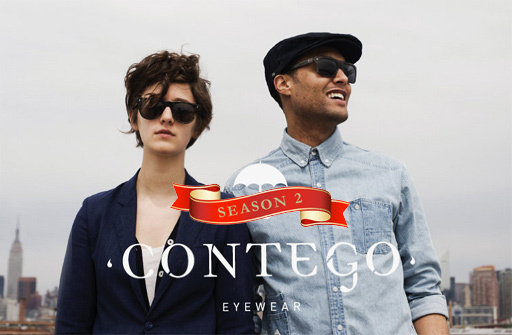 After their successful debut season, Brooklyn based eyewear label, Contego is back with their new Autumn/Winter 2011/2012 collection simply entitled “Season 2″. The collection introduces three quite distinctive cool new shapes as well as great new colorways, ranging from classic black to “Woodgrain” to a unique monotone tortoise (“Black Tortoise”). As in the previous season each shape is named after a Nobel Prize winner in Literature: The Bellow (Saul Bellow), The Llosa (Mario Vargas Llosa) and The Hemingway (Ernest Hemingway). Each frame is handcrafted and features stainless steel optical spring optical hinges for increased durability and comes beautifully packaged. Checkout the new additions below. While it might be getting a bit chilly here in the US, things are just starting to heat up in the land down under. 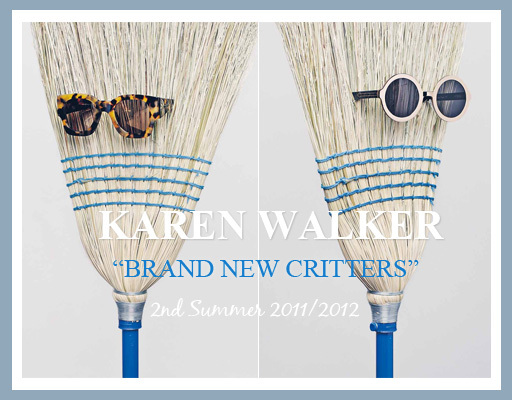 The perfect time for, New Zealand based, Karen Walker’s “2nd Summer” 2011/2012 Collection. Called “Brand New Critters”, the collection imaginatively blends a fun flirty playfulness with glamour seamlessly. There are bold shapes and unique eye-catching colors, as well as throwbacks to some all time favorites, such as Number Two and Super Duper Strength but this time in “Crazy Tortoise”. Quirkily replacing brooms and mops for models in their latest campaign, you are sure to find a “Critter” which will clean up your look in a flash. Check them out below. Three different lenses options and looks in one very cool pair of aviator sunglasses. The new Ray Ban RB 3460 Aviator Flip Out and Ray Ban RB 3461 Caravan Flip Out sunglasses, from their tech division, innovates on two of Ray Ban’s most classic styles. Adding to the legendary Caravan and Aviator shapes, the Flip Out series comes complete with a kit of three sets of easily interchangeable lenses: a rich primary color lens, a fashionable gradient color lens, and a polarized lens for extra glare protection. Also included is a lens carrying case so you can store an extra pair of lenses when your on the go. Made of a patented memory metal, each frame is entirely nickel-free, resistant to corrosion, and hypoallergenic. APX plastic lens material allows for an ultra lightweight lens with maximum performance capability. 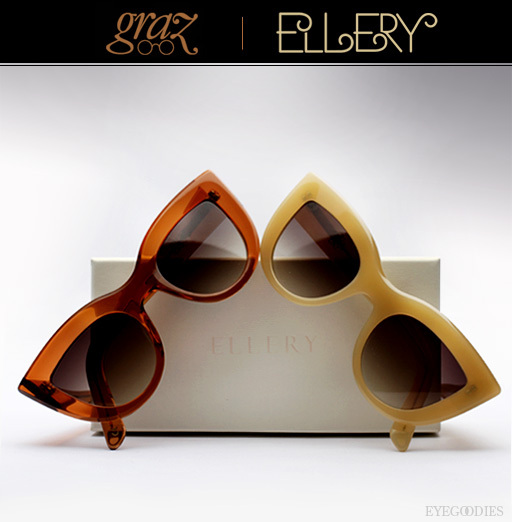 From Australia to our doors, the limited edition impossible to find Graz X Ellery collaboration sunglasses are back! In addition to being restocked in the black and “Streaked Tortoise” colors, the sleek and chic cat-eye shades have two new stunning color offerings this season: “Ginger” and “Batter”; Get them while supplies last! 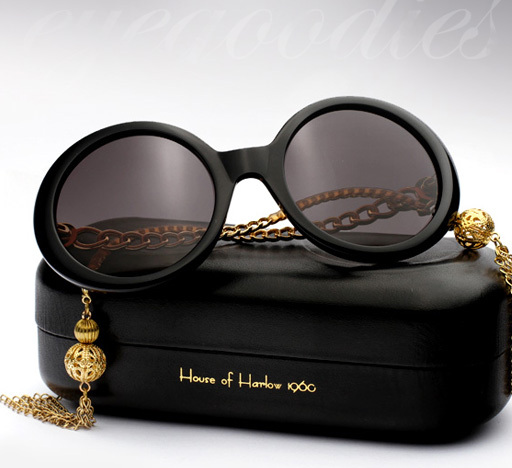 Just a few unique, bohemian chic pieces from our latest shipment of House of Harlow 1960 sunglasses. From day to evening, the Sasha uniquely blends eyewear with Jewelry. It features gold linked temples with optional “Earrings” which dangle behind the wearer’s ear. The earring/tassels are easily detachable; Available in Black and Tortoise, featured below. You don’t have to be an old Lo pro to know when it comes to Polo Ralph Lauren, the quality of the piece is greatly determined by the manufacturer/factory used. 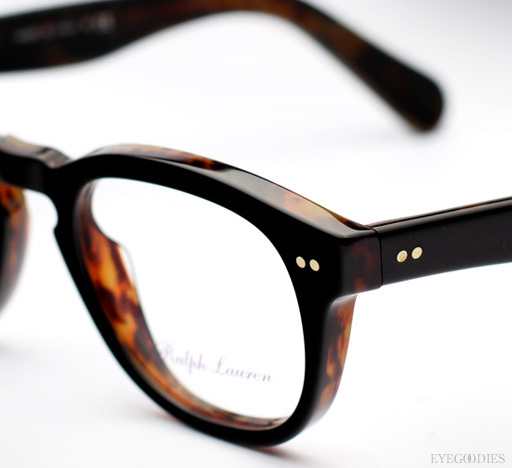 The Polo 2066p eyeglasses are a great example of this. They are a classic very well fitting unisex shape, made in Italy with plus quality acetate and hinges and offered in great colors such as the subtle black havana, a nicely done matte finished spotted tortoise, and a unique red tartan print. The latest wayfarer to join the Ray Ban family: Ray Ban RB 4165 Justin sunglasses. The new Ray Ban RB 4165 (also named the “Justin”), offers a great fit for most faces. The shape is more rectangular, rounder and contemporary than the classic Ray Ban Original Wayfarer rb2140, it doesn’t flare up or angle into the face. The RB 4165 is also a fuller shape compared to the Ray Ban new wayfarer rb2132, offering more coverage. What really sets this sporty wayfarer apart though are its light weight comfortable materials. 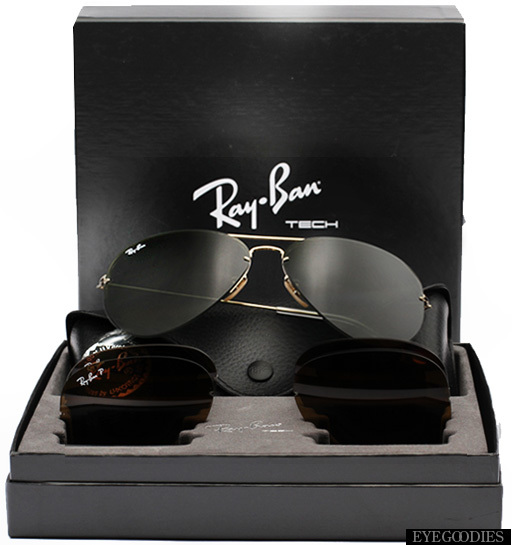 The RB 4165 is made with plastic lenses which are much lighter weight than the typical Ray Ban glass. The frame is also made from matted rubber which has the advantage of gripping your skin to prevent slipping. 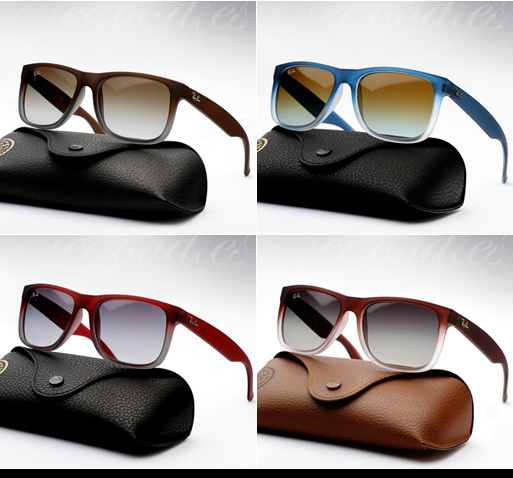 The Ray Ban 4165 is offered in unique two-tone matte color options: matte brown gradient grey, matte blue gradient transparent, matte red gradient grey, and matte brown gradient transparent.